Show everyone who's your doggie with this cutesy Puppy Angel Bear Dolly Dress. 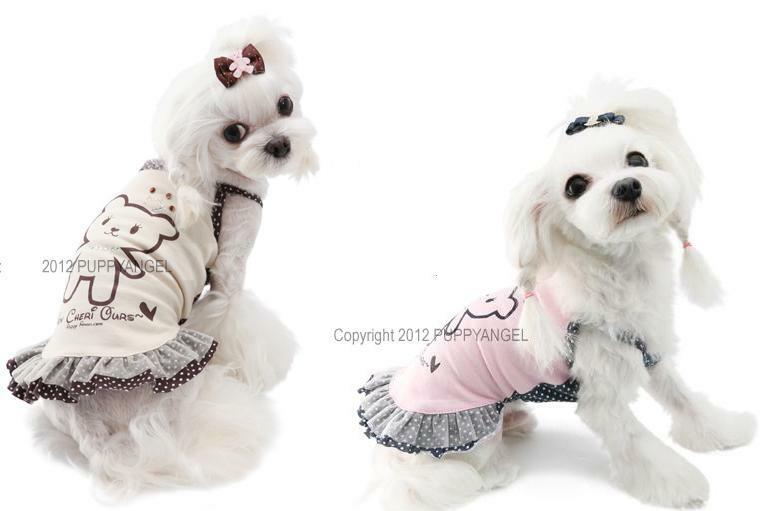 Simple in design but super cute the Puppy Angel Bear Dolly Dress for dogs demands to be hugged. Made from 100% cotton the spaghetti straps and skirt are made from contrasting spotted fabric while a cute cartoon teddy adorns the back. The skirt has a cute glittering mesh overlay and the tummy is lightly elasticated to aid fit. Tracking may not be available for some orders in rare cases.